YoYour best weapon for digital marketing now comes with a built-in holster! 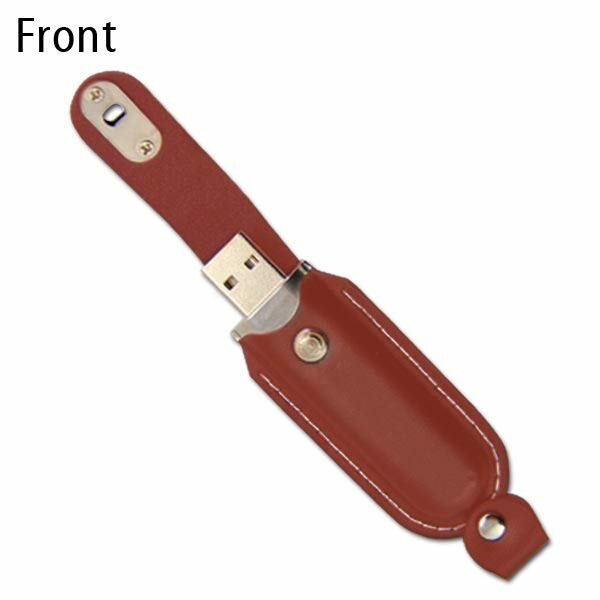 The Leather with Snap promotional USB drive boasts a key loop and cap-less design that utilizes a magnetic cover to protect the connector. Enjoy our great customizable options that are ideal for promotional materials, such as silkscreen or heat stamping, two drive colors, and quick turn times. 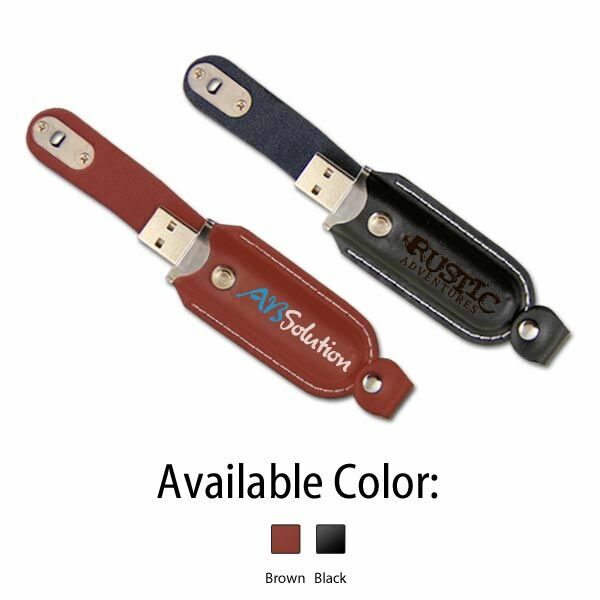 Holster style promotional USBs are popular because customers love their utility and they give off a very sophisticated, high end look that speaks well of a brand. 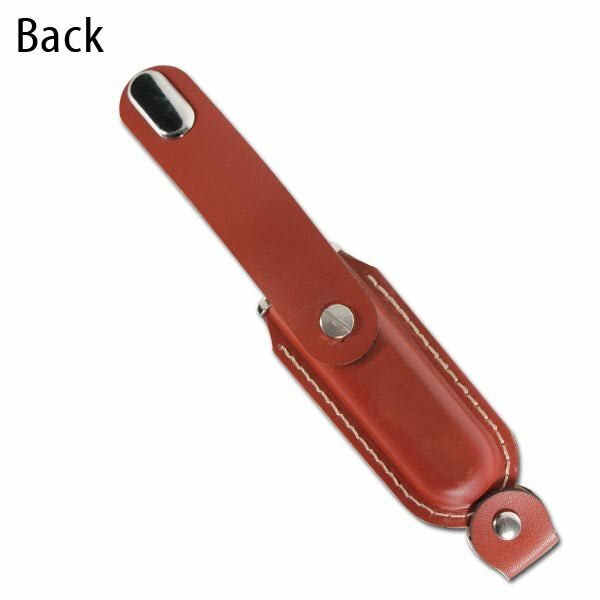 Company’s love the Leather with Snap because it offers great features and performs well. The leather body comes in two colors and can be silkscreen printed or heat stamped with your logo. It protects the valuable port with a metallic snap cover and offers an additional key loop for easy transport. Leather means fine quality and that will reflect on your company!